Jim Bennett lives in Poughkeepsie, NY and has been teaching for over 30 years. He has BFA and MFA degrees and has won numerous awards for his painting. He became interested in calligraphy in 1979 when he was asked to teach art in a school that had no studio space, no art materials, and less than $100 for supplies! Since then, Jim has introduced hundreds of people to calligraphy. Jim has taught at every level: elementary, middle school, high school, and college. He developed a calligraphy correspondence course for a college, created a handwriting curriculum for a private school, and is currently involved in developing creative ways to teach math. Jim has also taught numerous community service classes. 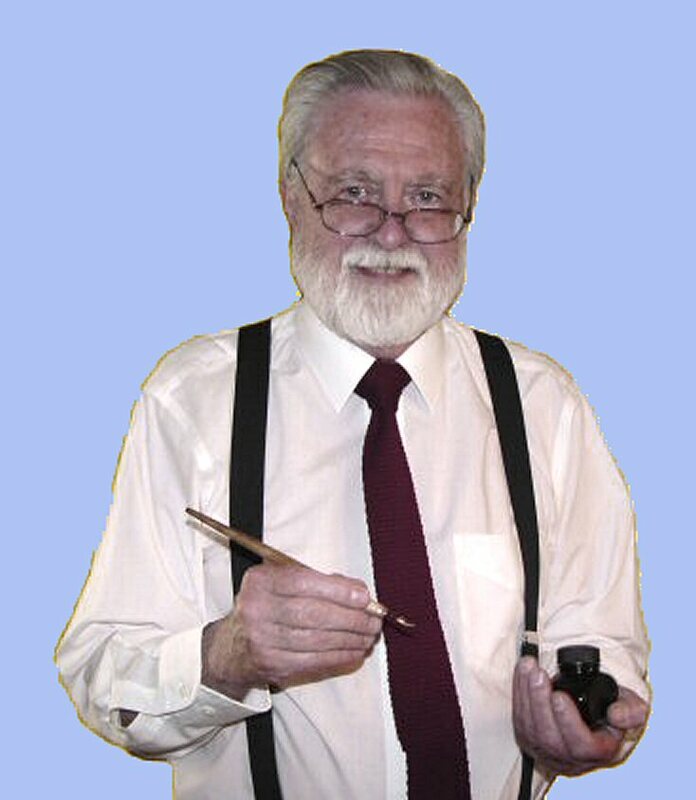 In 2007 he authored and illustrated the popular book, Calligraphy For Dummies. CLICK HERE for details about Jim's calligraphy by cyber correspondence!